New Life Church in Emsworth are proud to present a new drama performance to be showcased this Christmas. The drama group, who came together especially for this play, have spent weeks working on their acting skills, and polishing up their performance techniques to put on a spectacular showstopper for all who come to watch. Written and directed by Carla Morgan, True North is a brand new Christmas musical ideal for the whole family to enjoy together. This musical follows main characters Tulah, Herbie and Georgie as they set off on a perilous adventure to rescue their lost sheep. But their journey takes them on many unexpected twists and turns, and as they try sort friend from foe they begin to realise that it will take more than just courage to get them home again. True North opens to the public on Friday 14th December at 7pm, followed by Saturday 15th December at 10am and 7pm and finishing on Sunday 16th December with shows at 10am and 7pm. Tickets to watch the show are £3 each, or £10 per family (2 adults & 2 children under 16), with the running time being approximately 80 minutes to include a 10 minute interval. Doors will open 20 minutes before the performance is due to start. Seating is not allocated and will work on a first come first served basis as to where you sit. 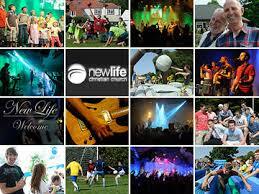 Come and join in the fun down at the New Life Church complex in the main venue for this amazing event. To come and watch this Christmas spectacle you can buy tickets from the Reception Desk during a Sunday morning service at 9:30am and 11:30am, or alternatively you can buy your tickets online at; newlifechurch.me/musical. Tickets go on sale from 1st November.